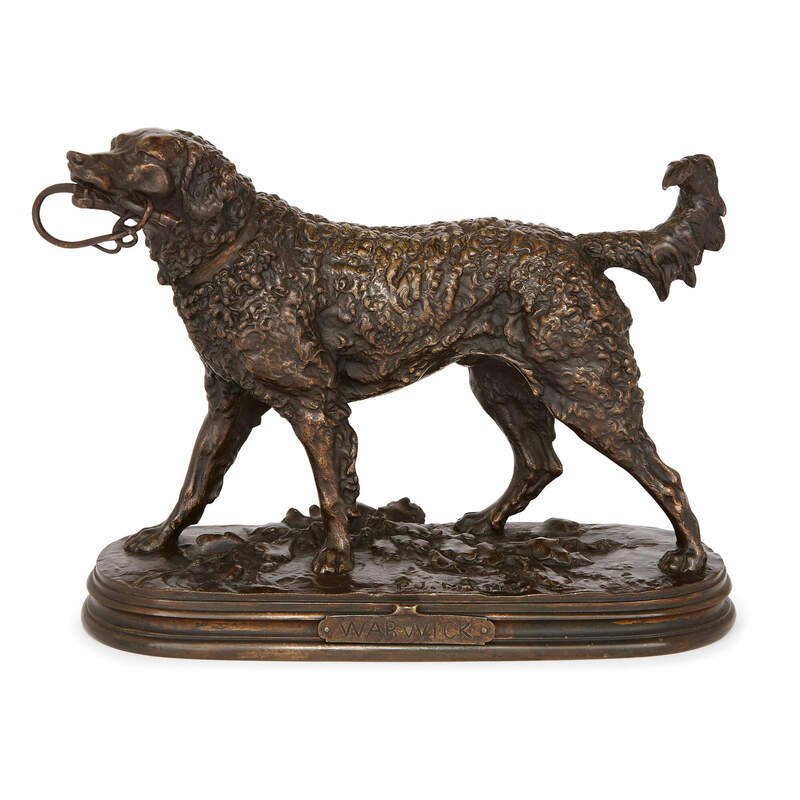 This charming antique dog figure is a fine work by one of France's foremost animalier sculptors working in the 19th Century, Pierre-Jules Mene. 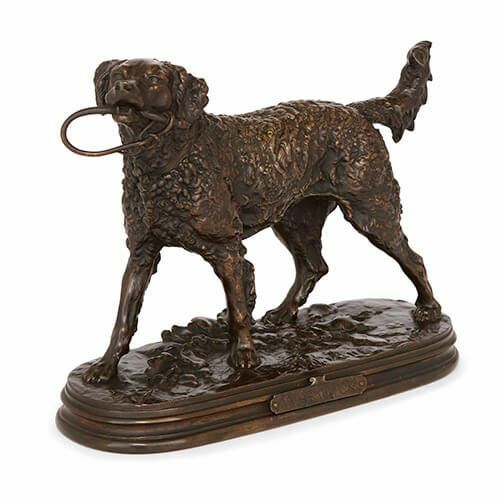 This beautiful dog figure exhibits the rich patina and effortless naturalism which made the work of Pierre-Jules Mêne (1810-1879) so highly respected in his time. 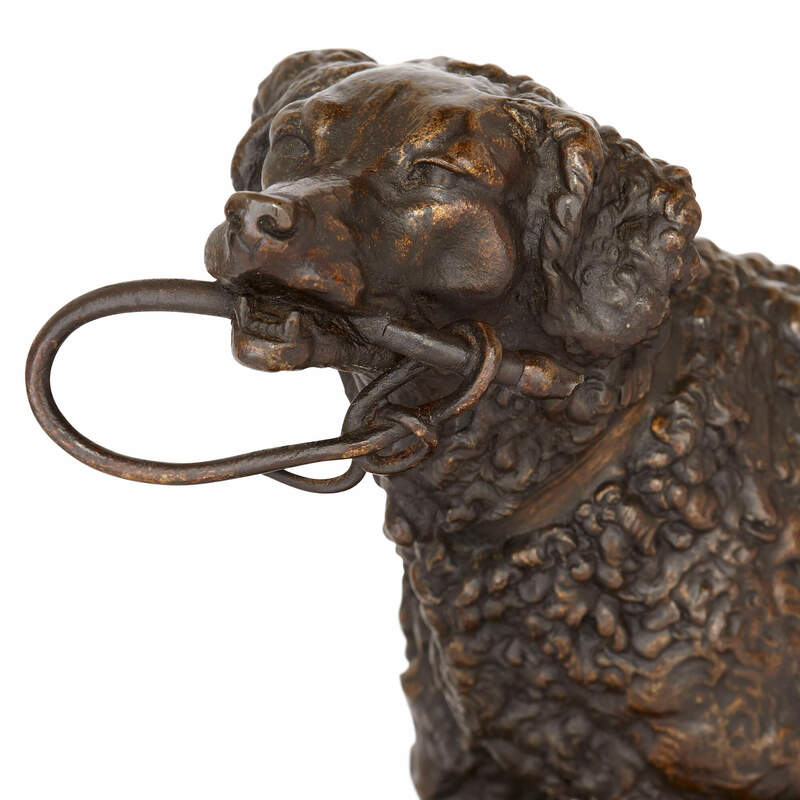 Mêne was regarded as one of the leading figures in the mid-19th Century French school of animalier sculptors, and his bronzes were highly sought after by the collectors of the day. His works were particularly popular during the 1850s and 1860s, the period of the French Second Empire under Napoleon III, and was especially highly regarded for his models of domestic animals, including sheep, dogs, cows and goats. 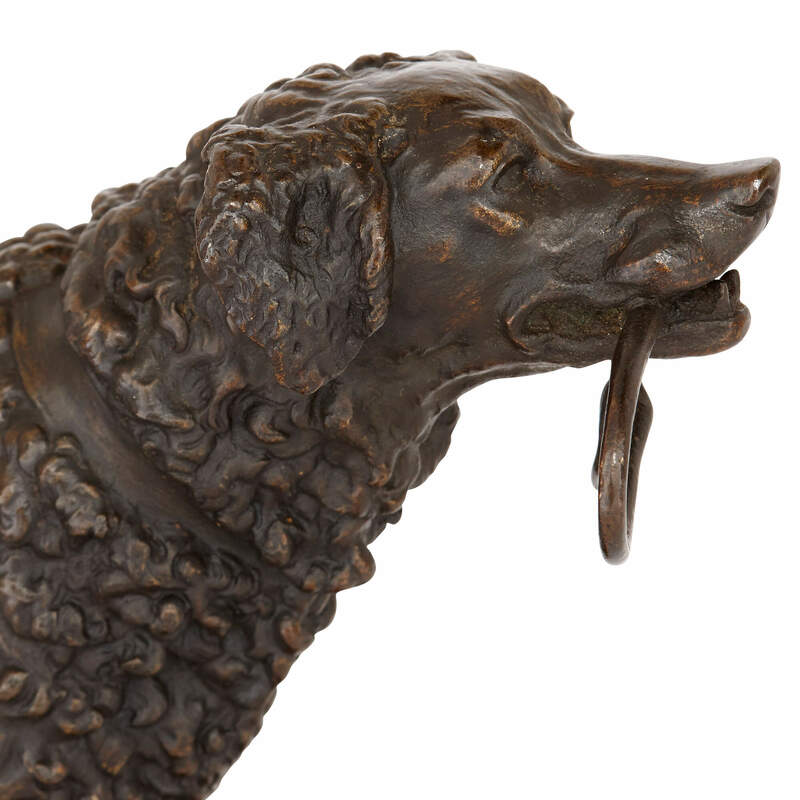 This model shows a dog standing on four legs, holding a whip in its mouth. 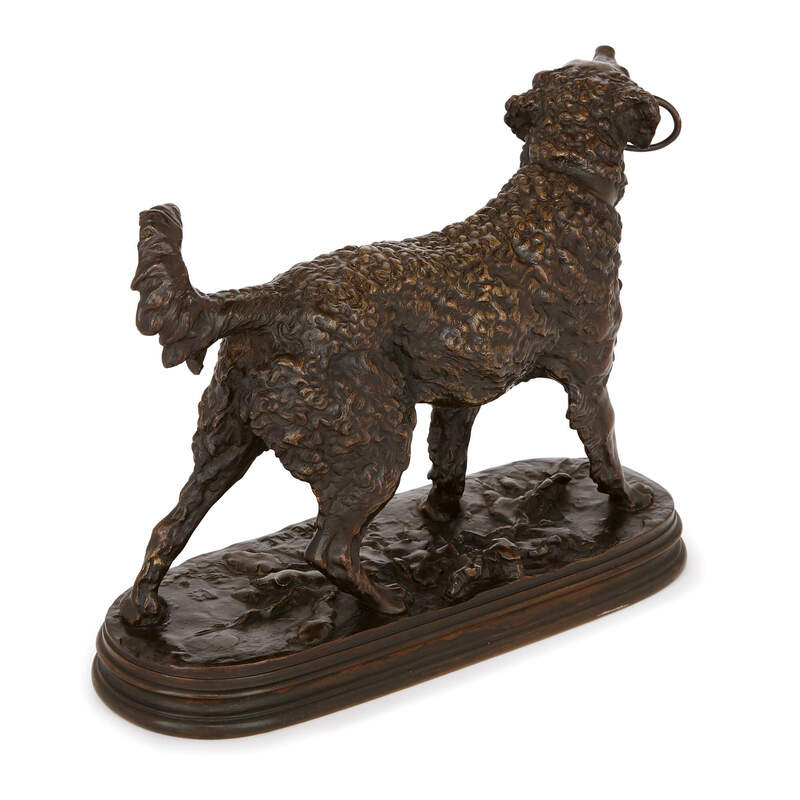 It is titled 'Warwick', and the title appears on a plaque attached to the oval-shaped base of the model. 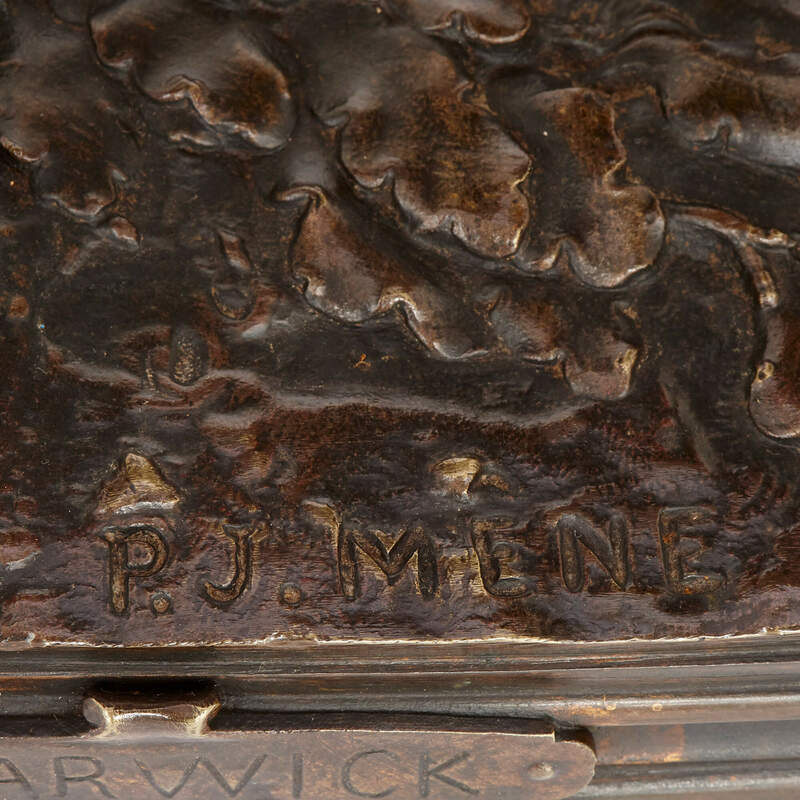 The base is also signed 'P.J. Mêne'.